One of Britain’s biggest bands of the last forty years is being celebrated in Liverpool this Summer! An interactive exhibition titled ‘About the Young’ following the rise and influences of The Jam is on in the Cunard Building on Liverpool’s Pier Head. About the Young is in Liverpool following the success of the exhibition at Somerset House in London last summer which saw over 57,000 people attend. 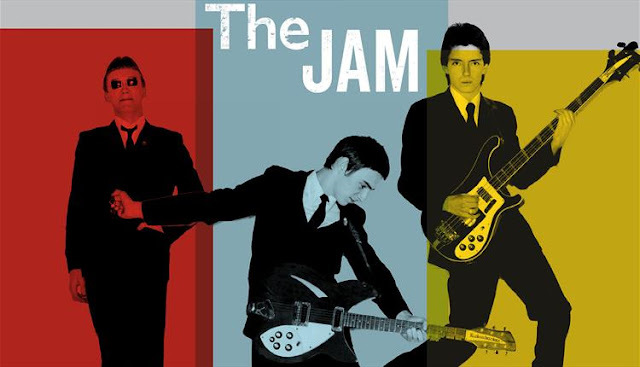 The exhibition in Merseyside however is the biggest event celebrating The Jam, who were together from 1972 until the early 1980s, with it being ten times the size as last summer in London. The Jam, who were arguably the voice of a generation, had an impressive 18 Top 40 singles and enjoyed a huge amount of success with the likes of Town Called Malice, That’s Entertainment and Going Underground. The event, which has been curated by Paul Weller’s sister Nicky, Russell Reader and Den Davis, will include memorabilia from band members and fans. Memorabilia will include everything from ticket stubs, clothes and stage equipment and instruments to Paul Weller’s doodles and poetry from when he was just 13 and personal photos from the Weller family archive. The exhibition will also give visitors the chance to learn more about the band and items on display with a free app which they can download on a smart device beforehand. The app also gives viewers the opportunity to save their favourite parts of the exhibition for them to enjoy in their own time. About the Young is on display at the Cunard Building until the 25th September. It is open daily from 10am-6pm and off-peak tickets are £5 with peak tickets being £9.50 per ticket. Will you be going underground this summer? Book tickets here.